Inspired by the fortuitous events of coincidence and fate that seem to invisibly bind our lives, Serendipity Starts will present the artwork of HalfaDozen studio members. The main focus of this collaborative open studio event will be the interconnectedness of events and chance happenings that sometimes govern our creative decisions. 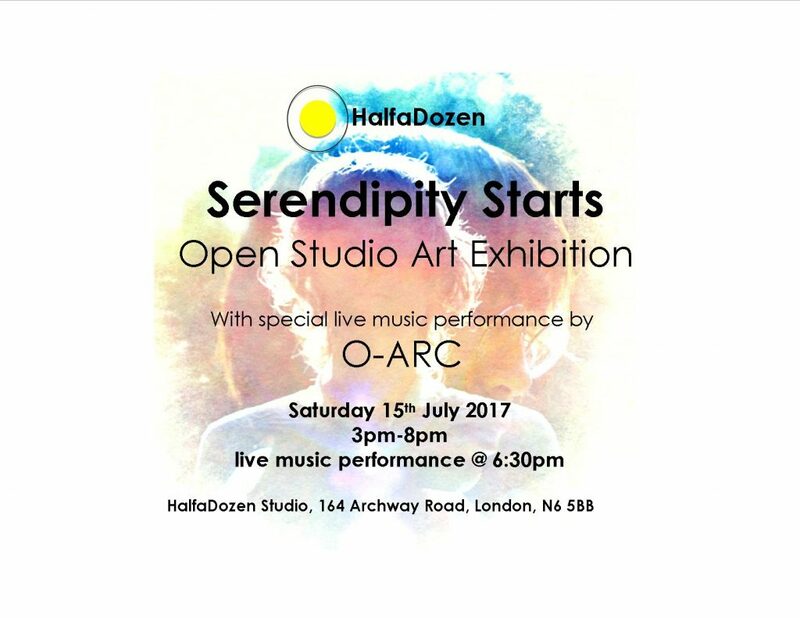 There will be a special live performance by O-ARC fresh from their successful performance at award winning music venue, Green Note in Camden. The exhibition will present a series of oil paintings, sculpture, photography, aromatherapy products and ceramics as well as new work by our artist-in-residence, John Chapman.